The Cancer Assassin: Supplements...Why they are good for me and maybe you too. 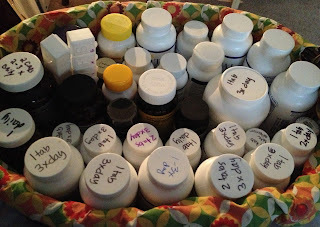 Supplements...Why they are good for me and maybe you too. I have been a getting neglectful about taking my supplements lately. Over the summer last year I was really nauseous from just about everything and I began taking less supplements since I didn't want to sacrifice them to the porcelain god (nothing stayed down and let's face it, they cost a lot of money). This kind of ended up turning into a habit that led me to the point of forgetting (a lot) to take my supplements, well, that and they are expensive because I take a lot. I have been doing that with another medicine I take on a daily basis as well, my LDN, but I was reminded recently by one of my angels that I shouldn't be doing that. It's weird how the universe works, just when I was reminded about slacking on the supplements my nurse calls and reminds me how important taking my LDN and UREA every day are. 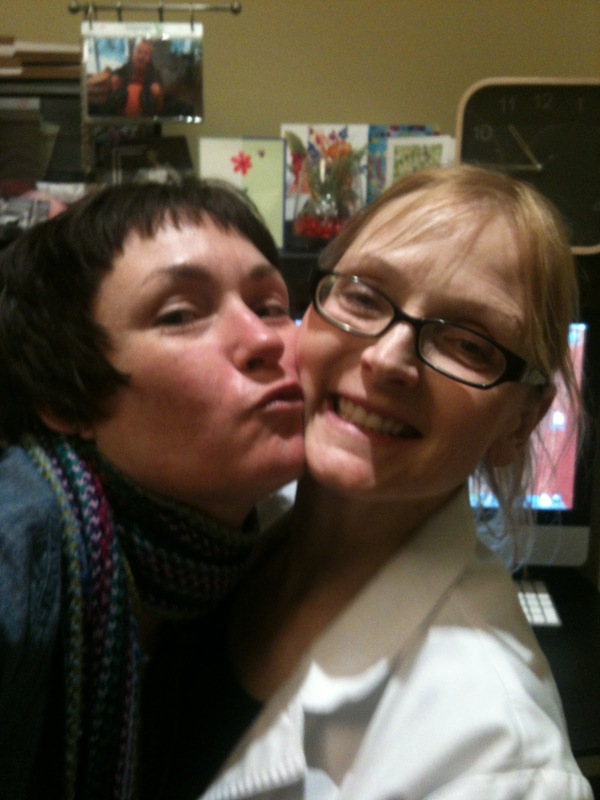 Of course she called under the pretense of wanting to update my current medical chart and to verify what I was taking. She is sneaky, lovey like that. She calls me Sugarbuttons. I love her! I am reminding myself of how important it is to take my supplements by posting about them here on my blog. I get a lot of questions about the supplements I take and I thought that as long as I am reminding myself of how important it is to take them I would share that information with you all too. After all, that is partly why this blog is here so you don't have to do all that research or at least so that it can give you a good starting point for finding more good stuff. I have decided that the best way to remind myself about the importance of these supplements is to research the beneficial properties (and those specifically related to cancer) of each and every one. If it is one that has multiple ingredients such as Liver Support, then I will explore each ingredient. I have been learning a lot! Don't get me wrong, my naturopath has told me why these are important but a) I forgot, b) there are a lot, and c) why not learn more? Instead of just blindly taking my supplements I will know just exactly how good they are for me each time I swallow one and I can be mindful about sending them on their way to do their job in my body. I take a lot and instead of bombarding you (and me) with all of them at once I will break them down into smaller groups. On the list today are Green Tea Extract, Quercetin, Curamed, Vit D3, and Shark Liver Oil. You can find almost every one of these on Amazon but I will provide the link to the exact brand I take if I can. Green tea extract has all kinds of good stuff in it called flavonoids. Flavonoids have antiviral, anti-inflammatory, anti-allergic, anti-tumor, and antioxidant properties. They protect cells against cellular damage such as cancer, aging, atherosclerosis, inflammation, and neurodegenerative diseases. You can find flavonoids in apple skins, blueberries, broccoli, cabbage, capers, onions, strawberries, red grapes, red wine and tea. Quercetin (found in fruits, veggies and onions) is one of the most potent flavonoids and is great for many things (I will cover this later). I take 1 cap/2x day. As I mentioned above quercetin is one of the most potent flavonoids. Studies show that quercetin is great defense against allergies, asthma, heart disease, high cholesterol, RA, bladder pain or bladder infections, prostate inflammation, and cancer. I take 1 cap/3x day. This contains both micronized curcumin (for better absorption) and turmeric essential oil and phospholipids which make up the construction of cell membranes. Curcumin is great for your intestines and digestion, has anti-inflammatory properties, boosts cellular gluatathione levels, prevents liver damage, detoxifies the liver, and helps keep the liver healthy during chemotherapy and cancer treatments, and it can help prevent and treat cancer. I take 2 caps/3x day. I had no idea that vitamin D was so great for you. Vitamin D promotes intestinal calcium and phosphorus absorption, supports cardiovascular function, colon health, and general cellular support and is well known to kill cancer by causing apoptosis (cell death). I take 1 cap/day. I think that this one surprised me the most. I think I just assumed that since it was liver oil it must be good for my liver and never questioned why but wow this one is great! Shark liver oil boosts the immune system, fights infections, heals wounds, treats cancer, and lessens the effects of conventional cancer treatments making it great for anyone going through chemotherapy or trying to get over chemotherapy side effects. Shark liver oil contains alkylglycerols which kill indirectly kill cancer cells by activating the immune system. Alkylglycerols are found in mother's milk as well as certain class of fish called elasmobranch which are distinctive for their gill structure. The alkylglycerols stimulate the bone marrow cells to make white blood cells, red blood cells, and platelets making it great once again for those of us who have low blood counts and leucopoenia. I take 2 tabs/3x day...right now I am out so this is on my supplement wish list. I am so glad that I decided to take a closer look at my supplements and get myself reacquainted with them again. It is less of a burden to take so many pills knowing that they are so good for you! It certainly makes them easier to swallow. To see my entire supplement list during and after chemo please check my recent post Questions Answered. And as always please seek professional advice preferably from a naturopath or other natural doctor before taking supplements willy nilly please. Really this is very good supplements for all people. order supplements here enjoy your sexual life. electric skateboard. Finally, a board that looks, feels, and most importantly reacts like a traditional longboard.